We offer comprehensive Ocean Freight services by ship for export and import to and from all major port of the world with our global worldwide Associates offices. Our team was well trained to handle all goods either ship in full container load or loose cargo loader consolidation or bulk cargo and also track your cargo, assuring its safe and timely arrival. 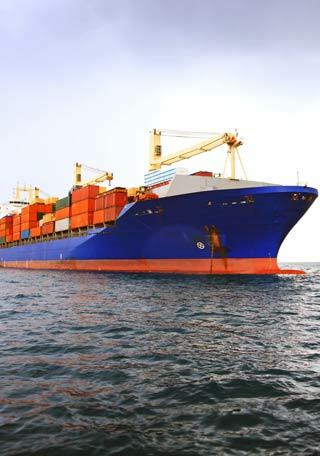 Beside, we can provides planning and consultants services in which our staff can provide valuable assistance in selection of steamship lines, packaging requirements and customs classification as well as other specialized needs. We are able to advise you on better and economical routes of transport with our worldwide network of affiliates and their extensive knowledge and experience. At present GTL is ranked as one of the leading LCL consolidator in Sri Lanka we receive regular direct consolidation services from China, South Asia ports and Middle East while we do accept LCL for export consolidation services to worldwide destinations.